Original article from the internet. COMO Point Yamu has perfect balance of rest and play, comfort and luxury which is evident in every corner of the hotel; from gorgeous accommodation to the top notch service and amenities they provide. 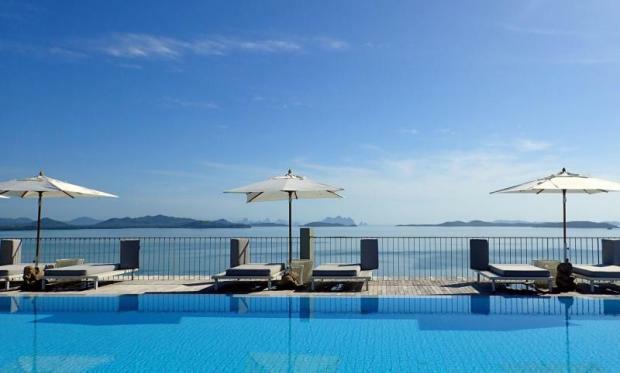 The hotel sits perching on the tip of Cape Yamu and gifts each guest with a stunning view of the Andaman Sea and Phang Nga Bay. On clear sunny days, your back drop will be a horizon made up of various shades of blue and the silhouettes of all the islands that surround the area. It’s an unbeatable view that is hard to find elsewhere in Phuket. Snorkeling trip to Khai Island. As breathtaking as the view is from the hotel window, it’s as easy to fall in love with the interior of Point Yamu. 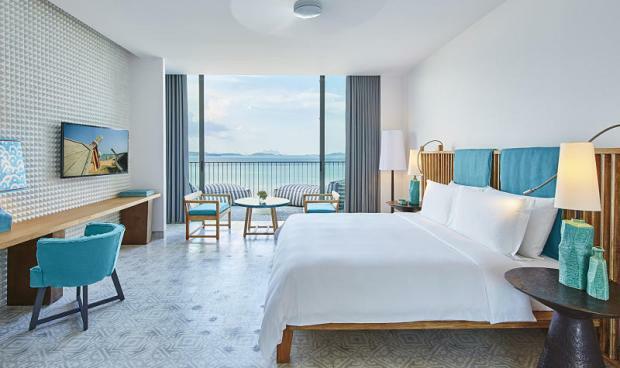 Designed by the multi-talented Paola Navone who has insured the hotel preserves the beautiful culture of Thailand in a contemporary manner that comes with a striking décor that accentuates the resort’s spectacular landscape. With 79 rooms and suites boasting luxury designs and plenty of space for lounging, you’ll be spoiled for choice. Not that you’ll be spending that much time in the rooms either, especially when the resort unravels incredible views everywhere you look. Take the 100 metres infinity pool and the lounge deck for example; there is just no way you can resist the urge to Instagram those sights. 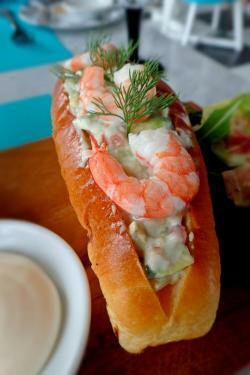 Right pix: rawn roll at La Sirena. Make sure you spare plenty of time to lounge around the resort and enjoy all the fabulous wellness facilities that the hotel offers such as the spa, hydro pool and the yoga studio. What you shouldn’t miss though are the daily activities that the hotel team have planned. 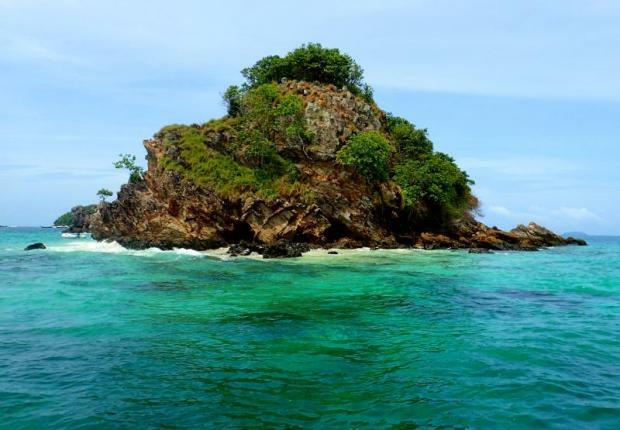 Water babies should take the snorkeling trip to Khai Island (B2,500++ per person). Within a 45-minute private long tail boat ride, you’ll arrive at a small quiet island where you can begin your own journey ofFinding Dory. All snorkelling equipment — including masks, fins and life jackets — are provided and to top it all off there’s also refreshing snacks and beverages that awaits you when you return to the boat. If you don’t want to venture far, the hotel has a beach club located on a private island of Naka Yai. 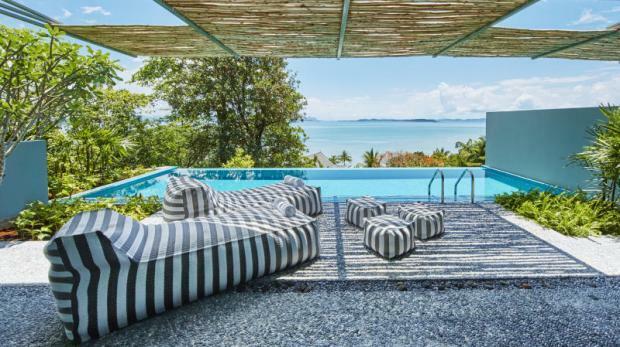 It’s a perfect hideaway and escape from the hustle and bustle of Phuket. You’ll find a secluded beach, a large salt water pool, a sun deck, a watersports centre, beachside restaurants and even spa rooms for when you find yourself in dire need of a relaxing massage. The boat ride to COMO Beach Club is complimentary to all guests of the hotel. 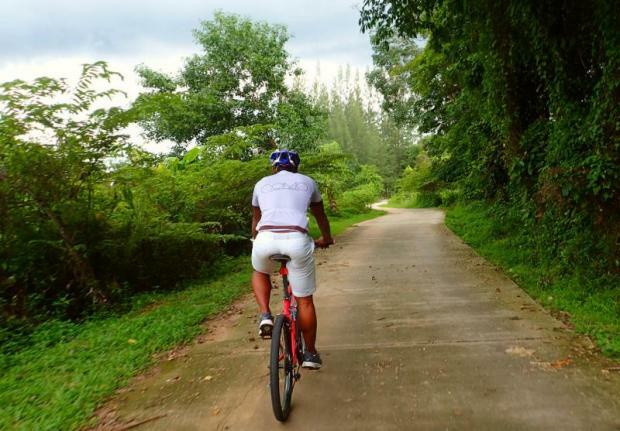 Cycling enthusiasts may also like to join the Bike Tour that takes riders through the tranquil Yamu Village and scenic route of rubber plantations. The ride is relatively easy and the total distance is about 8 kilometres. Those looking for calorie-burning exercises can also sign up for Thai kick boxing or body toning workout classes. 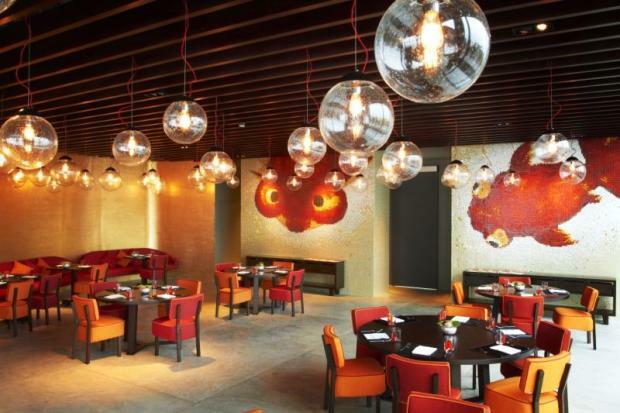 The hotel has two main dining outlets: Le Sirena serves up fantastic Italian dishes while Nahmyaa takes inspiration from Thai street food and gives it a contemporary spin. We were so impressed with the quality and unique flavours that we’d recommend any readers to make a visit to both places, even if you’re staying in a different hotel. Breakfast buffet is also real treat where diners can order delicious hot meals like eggs benedict, coconut waffles, cinnamon french toast and also indulge on freshly-baked pastry and exotic fruits on the dining counter. Another culinary highlight of the hotel is the Shambhala cuisine which is available in all of the hotel’s restaurants and room service. This healthy menu uses organic ingredients that are packed with living enzymes, vitamins and minerals. Don’t mistake these dishes for the tasteless clean foods you’d usually find though, as they’ve been designed to be just as delicious as they are healthy. For more information or to make a reservation, please contact:res.thailand@comohotels.com or call 02-625-3333 (promo code: PROROMAN). This entry was posted in Travel and tagged Thailand Tourism.